The chalets at the fantastic and water-rich chalet park De Visotter are spread across the park. You can choose from various types, all situated on narrow or broad ditches. 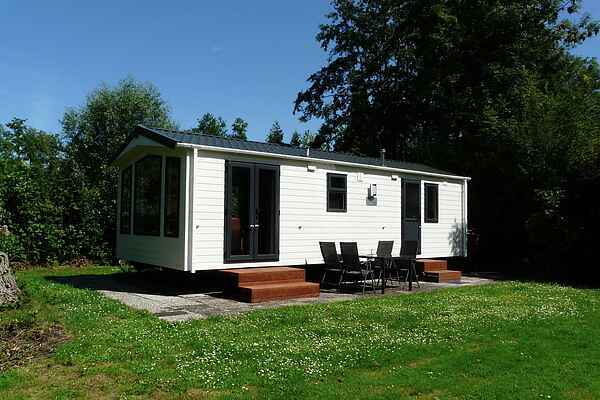 There is a nice two-person type (NL-3652-05), two four-person types, namely Chalet Premium (NL-3652-03) and Chalet Comfort (NL-3652-06) - the premium has a slightly larger living space - and there is a chalet for five people (NL-3652-04). Almost all residences in the attractive holiday park have their own garden with garden furniture and sufficient privacy. An ideal place to enjoy nature.